Yoga and Ayurveda are like two sides of a coin. The origins of both are from a greater system of Vedic knowledge. While yoga has its origins from Yajurveda, Ayurveda originated from Atharva Veda and Rig Veda. Both of these are based on the principles of Trigunas (Satva, Rajas and Tamas) and Panchamahabhutas (fire, earth, space and water). Both advocate regular practice of pranayama, meditation and use of herbs for physical and mental health. While Ayurveda emphasizes on how your body works through doshas and the impact of food and medicines on the body, knowing your doshas in the first place, will help in customizing your yoga practice to obtain maximum benefits from it, says Jyoti Agarwal, Art of Living Teacher. Yoga balances all three doshas – Vata, Pitta and Kapha, as various poses have different effects. While all forward bending postures help in cooling Pitta dosha, the twisting poses are good for people of kapha constitution, as it aids digestion. On the other hand, backward bending postures are considered to be heat producing, and hence help in balancing vata types, as long as the person has the strength to continue them. People with vata dosha are usually quick and creative, but they may experience some signs of imbalance due to insomnia and anxiety. For people of this constitution, slow and steady yoga postures like the below said, will be of help, as they cultivate peace and helps beat anxiety. Inverted poses like ‘Sirsana’ and ‘Sarvangasana’. A verse from Yoga Sutra states yoga as a settled state of the mind. Similarly, a verse from ayurvedic texts states that the one who always remain united with the Self, is a healthy person. Both these verses suggest that yoga and Ayurveda have the same goal, i.e., attaining union with self, the most settled state of the mind. In another instance, a verse from Sushruta Samhita states that if an individual’s doshas are in balance, appetite is good, dhatus are functioning normally, malas are in balance, and if his self, mind and senses are full of bliss, he can be considered as being ‘healthy’. Ayurvedic texts like ‘Charaka Samhita’, makes mention of yoga, as being vital for dissolving physical stress and calming the mind before meditation. 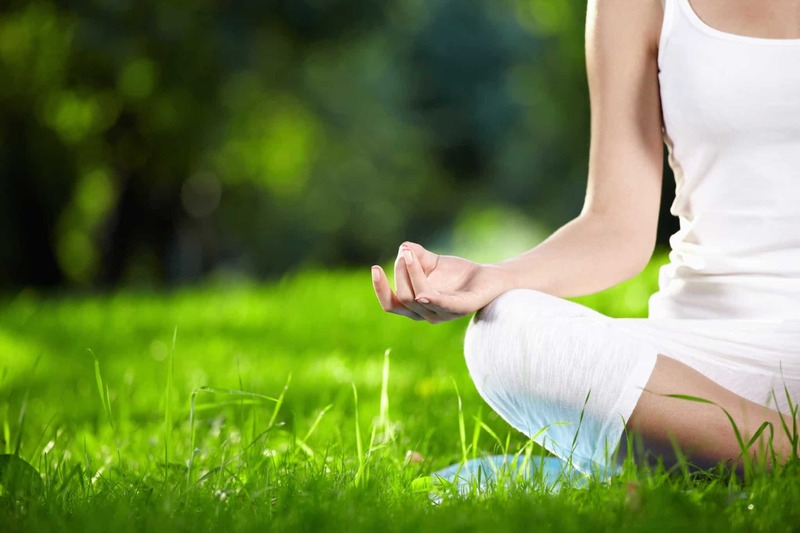 It states that yoga practice is vital for maintaining an ayurvedic routine. Yoga is also considered as the ideal ayurvedic exercise, as it rejuvenates the body, improves digestion and eliminates stress. Yoga postures tone all areas of the body, helps in cleansing the internal organs of toxins, which is one of the primary goals of Ayurveda. Meanwhile, yoga practitioners can benefit from incorporating an ayurvedic routine into their daily lives, as part of yoga practice, as Ayurvedic massages help remove toxins from the body and relaxes muscles, which again, is essential for yoga practice. So, as you can see Ayurveda and Yoga are part of one another and are inter-dependent.